Recordings of readings by the poet Muriel Rukeyser from the Lee Anderson Papers (YCAL MSS 402) are now available on the digital audio archive PennSound: Muriel Rukeyser at PennSound. These newly-restored and digitized recordings are made available as part of the Yale Collection of American Literature’s ongoing collaboration with PennSound to make sound recordings in the Lee Anderson Papers (YCAL MSS 402) available online. Other recordings from the Anderson Papers are also available at the following links: Robert Duncan: http://writing.upenn.edu/pennsound/x/Duncan.php#Lee-Anderson; Stanley Burnshaw: http://writing.upenn.edu/pennsound/x/Burnshaw.php. Additional recordings will be made available in the future. For more information visit the following sites: the Lee Anderson Papers (YCAL MSS 402): http://hdl.handle.net/10079/fa/beinecke.andersonl; about PennSound: http://writing.upenn.edu/pennsound/; http://writing.upenn.edu/pennsound/about.php. Image: Rukeyser’s signature on a letter to Ezra Pound, from the Ezra Pound Papers. Recordings of readings by the poet Stanley Burnshaw from the Lee Anderson Papers (YCAL MSS 402) are now available on the digital audio archive PennSound . These newly-restored and digitized recordings are made available as part of the Yale Collection of American Literature’s ongoing collaboration with PennSound to make sound recordings in the Lee Anderson Papers (YCAL MSS 402) available online. 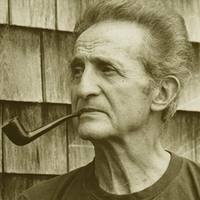 The pilot project, readings given by Robert Duncan and recorded in 1952, were posted to PennSound earlier this month; PennSound’s Duncan page a can be found at the following link: http://writing.upenn.edu/pennsound/x/Duncan.php#Lee-Anderson. Stay tuned for more recordings from the Lee Anderson Papers on PennSound.